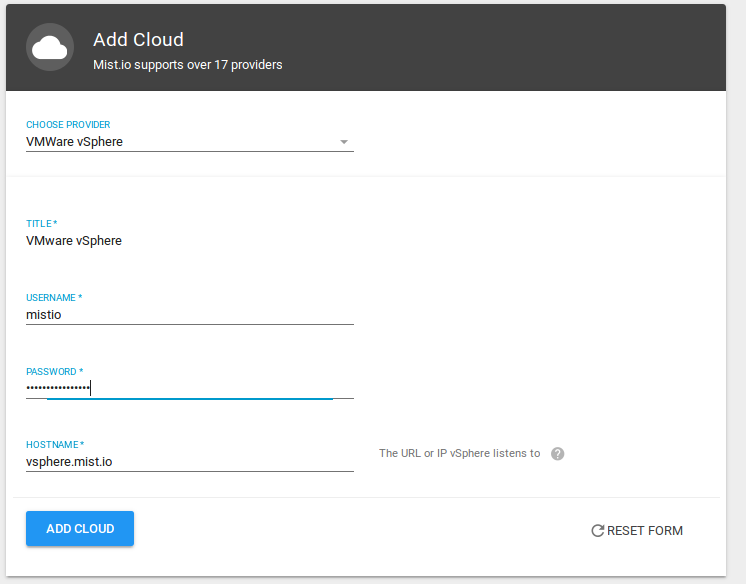 To add a vSphere infrastructure you will need to provide the username, password and hostname of your vSphere server. Log in to Mist.io and click on the " Add cloud" button. 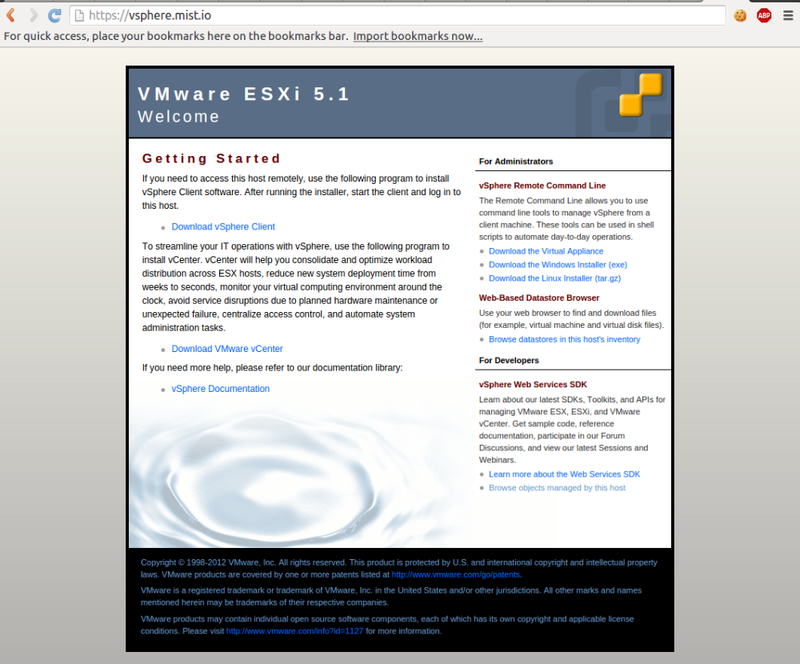 Select "VMware vSphere" from the providers' list. Enter the same username and password you use to login to your vSphere vCenter plus the hostname (ip or host) of the vSphere server. The hostname should be resolvable by mist.io, if it cannot connect you will receive an error. Click on the add button. If the credentials are correct, vSphere will be added to Mist.io and you will be able to see your VMs in the Machines section. You can run actions (reboot, stop, destroy), provide an ssh key and connect through a web console to the linux server that have public ip addresses, and enable monitoring to be able to see performance diagrams and set alerts. If you get a 'Cloud unavailable' while trying to connect a vSphere, make sure the user/password are the correct ones. Open up https://VSPHERE_URL/folder in your browser, example https://vsphere.mist.io/folder, and provide with the correct user/password. If you are able to view the contents of that page, then the user/password are the ones you would provide on mist.io, along with the VSPHERE_URL. If you're using self signed certificates there are cases where mist.io can connect despite the fact that certificates are not valid, but in most cases it will deny connection for security reasons.